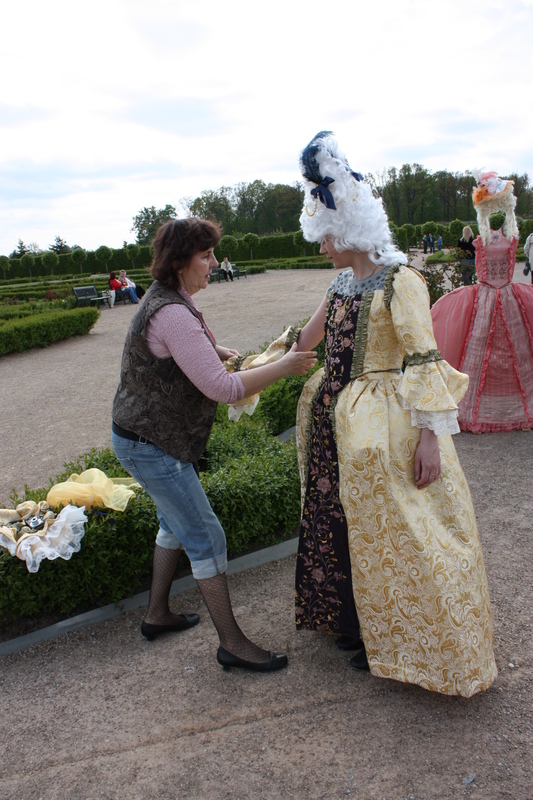 On a beautiful sunny day in the fascinating Rundale Palace French Formal garden you may find 18th century style costumes arranged for you to try on. 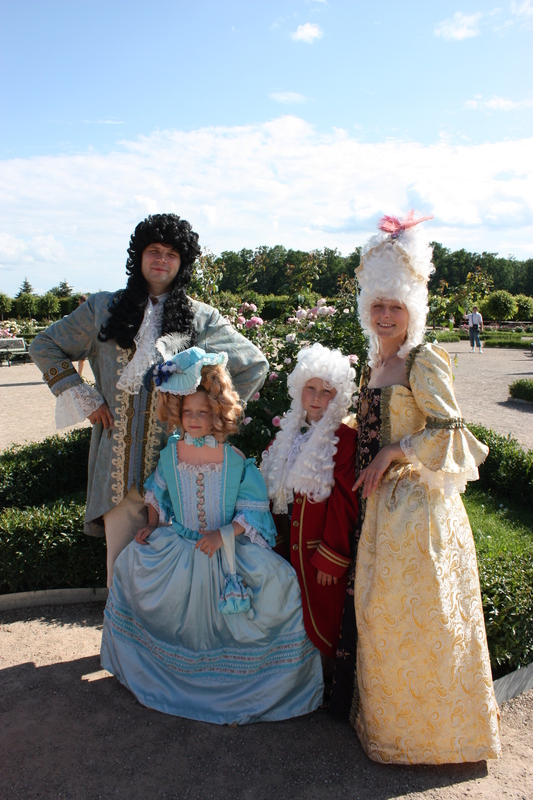 To give you the idea of how does it feel to wear a pair of tight stays or panniers, jabot or ‘habit a la française‘ at least for couple of moments.. Once you have tried the ‘comfort’ of 18th c. style costumes you can memorise that on a digital portrait of yours! 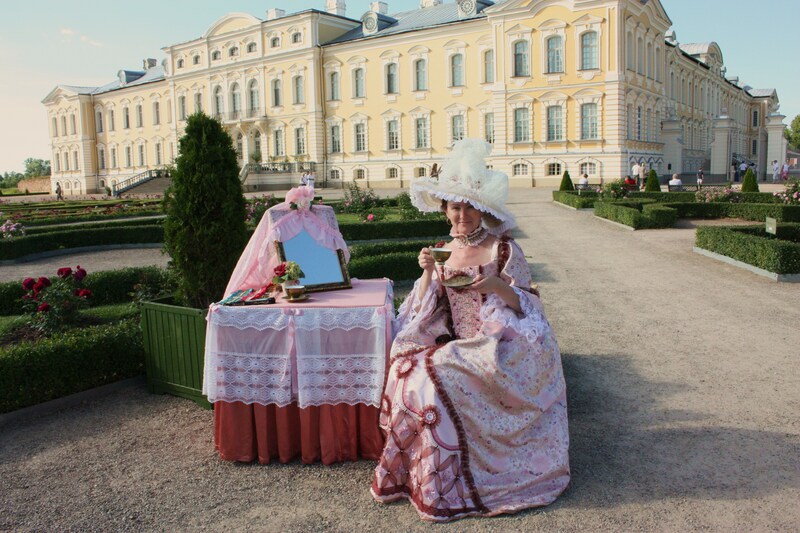 This ‘Photo Saloon’ with splendid 18th century style gowns, hats and different accessories for lovely ladies as well as elegant suits for gentlemen can travel to another location to add a whiff of history and 18th century grace to your party or celebration. 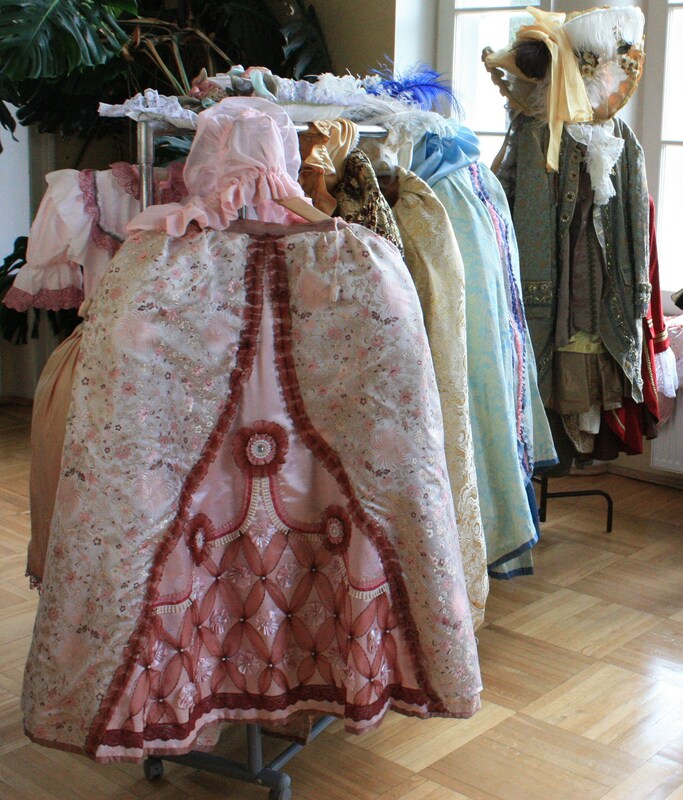 Our ‘couturiers’ were so creative, that it takes only several minutes to try on these special costumes.